We all know the story of the Skyhawk, but along the list of the variants of the Skyhawk, we almost never find this type, the OA-4M. This is maybe because only 23 where built ever, and they stayed into service for only a decade. The OA-4M is basically a TA-4F with all equipment of the A-4M, the advantage of these systems was that the OA-4M had the ability to serve as a forward air control (FAC) aircraft. The modifications included a ground control bombing system, a KY-28 secure voice system, a canted midair refuelling probe, extra cockpit side armor plating, an APN-194 altimeter, and ARC-159 radio and ARC-114 VHF radio. Perhaps the most visible change was the fitting of the dorsal electronics hump, neatly faired into the rear of the two-seat canopy. The nose sensor group of the OA-4M was basically the same as that of the A-4M, but the Angle/Rate Bombing system was not fitted, and the laser spotting and tracking window was faired over, since neither of these were needed on an aircraft which was not to be employed in a pure bombing role. This is one of those kit that give me a happy feeling when opening the box, everything is their, nice packed in five bags, crispy plastic with fine engraved panel lines and a few engraved rivets, lots of options, accurate instructions and a nice box art. And all that for only six bucks and a little, but the price is only this low because this is the older kit, the plastic is the same only the box art and decals are deferent. 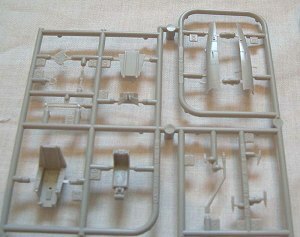 If you are familiar with Fujimi's A-4 series, you will know that only the sprues for the wings, the cockpit, weapons and the landing gear are the same in every kit. The rest of the sprues are deferent from with type of A-4 you buy. 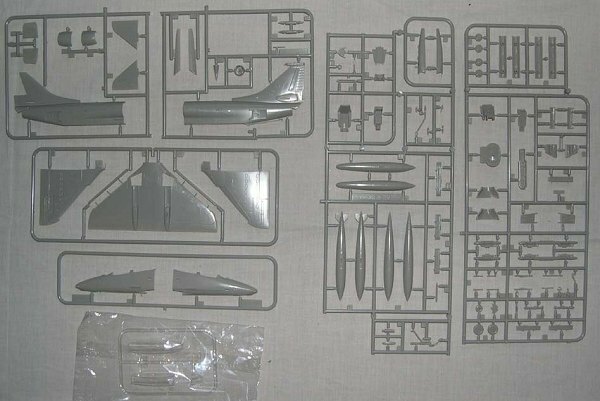 This kit includes mostly A-4M and TA-4J/F parts next to the basic sprues. The cockpit will look better with a aftermarket seat as in almost every 1/72 kit, only the instrument panel remained from the TA-4, I don’t know if this is accurate. The only weapons included are two 5-in zuni unguided rocket pods, and tree fuel tanks. Building your OA-4M with only tanks is the most accurate, because I couldn’t find any pictures from a OA-4M carrying anything else then fuel tanks. The decals are very nicely done, you can chose between three different decal sets, all in low vis and al a slightly deferent paint scheme. 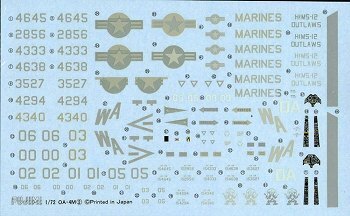 Two for the US marine corps H&MS-12 “OUTLAWS” and one for H&MS-32. The paint scheme is one of those three tone greys that we know from the Harrier. Paint is in Gunze Sangyo, Mr. Color and FS. This is still a great kit after at least sixteen years in production (this kit dates back to 1987). I recommend it to everybody, just with a little more care and money then you need with the Italeri kit, you can turn this into a beautiful Skyhawk.